The first time Colombia heard about hard techno was because of Andreas Kremer end of 90's. Also he was the first hard techno dj to come here ever. Long time went by before we could link up and have him at our own parties. Next thing was a tour within Colombia including cities like Bogota, Ibague and Armenia, a total Overdose of his music on different projects like ADK, Andreas Kremer and Mayhem Man. This EP is all about this last one mentioned: Mayhem Man. What is this dark unique vision of hard music in the mind of the Mayhem Man? 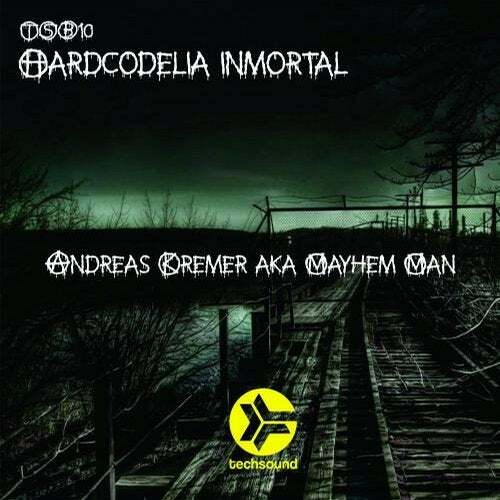 Well you are about to find out in this release named after our party and his everlasting work: HARDCODELIA INMORTAL. Big up for Andreas Kremer aka Mayhem Man, a true legend of worldwide hard techno sound, proud to have you in Techsound!